The digital displays offer passengers real-time travel information, including estimated arrival times for multiple upcoming stops, transfer information for other CTA services, service alerts including reroutes and more. The new screens mark the latest expansion of CTA’s digital customer information offerings, which include the CTA’s Bus Tracker and Train Tracker signs at bus stops and rail stations. “These new digital screens will make it easy for customers to make real-time decisions about their commute while on board the bus and without having to open up an app on their mobile device,” CTA President Dorval Carter said in a statement. The policy was created in 2013 to foster pedestrian-friendly neighborhoods by enabling new construction projects near rapid transit stations to have higher densities and less parking than is typically allowed by the city’s zoning code. “Expanding the Transit Oriented Development policy incentives to include areas served by some of our highest ridership, highest frequency bus routes, makes sense for CTA, makes sense for the communities we serve and makes sense for the real estate market,” CTA President Carter said in a statement. 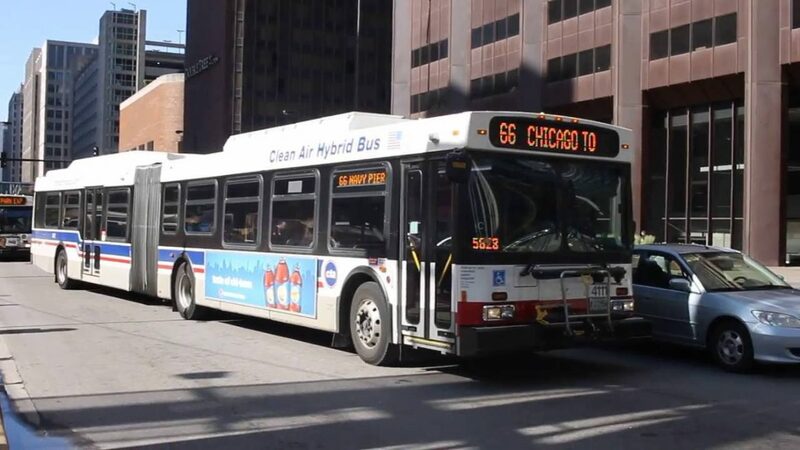 Mayor Emanuel’s 2019 city budget also allocated additional funds for the Chicago Department of Transportation to implement targeted intersection improvements along these corridors to eliminate bus “slow zones” at bottle-neck intersections, starting with the #66 Chicago Avenue line. Don't miss your chance to get a photo with Santa when the specially decorated train and bus make their stops on the West Side. The Chicago Department of Transportation is seeking input from local residents at a community meeting March 21 at the Austin Library, 5615 W. Race. State Rep. Ford wants to re-open a station at Lake and Central, but officials say it could cost millions.